This description of the Epistles to the Thessalonians is from Easton's Bible Dictionary. Thessalonians, Epistles to the: The first epistle to the Thessalonians was the first of all Paul's epistles. It was in all probability written from Corinth, where he abode a "long time" (Acts 18:11,18), early in the period of his residence there, about the end of A.D. 52. The occasion of its being written was the return of Timotheus from Macedonia, bearing tidings from Thessalonica regarding the state of the church there (Acts 18:1-5; 1 Thessalonians 3:6). While, on the whole, the report of Timothy was encouraging, it also showed that divers errors and misunderstandings regarding the tenor of Paul's teaching had crept in amongst them. He addresses them in this letter with the view of correcting these errors, and especially for the purpose of exhorting them to purity of life, reminding them that their sanctification was the great end desired by God regarding them. The subscription erroneously states that this epistle was written from Athens. The second epistle to the Thessalonians was probably also written from Corinth, and not many months after the first. The occasion of the writing of this epistle was the arrival of tidings that the tenor of the first epistle had been misunderstood, especially with reference to the second advent of Christ. The Thessalonians had embraced the idea that Paul had taught that "the day of Christ was at hand", that Christ's coming was just about to happen. 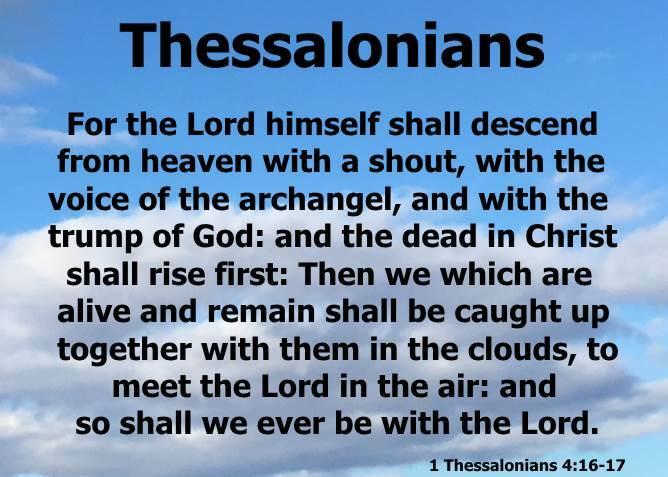 This error is corrected (1 Thessalonians 2:1-12), and the apostle prophetically announces what first must take place. "The apostasy" was first to arise. Various explanations of this expression have been given, but that which is most satisfactory refers it to the Church of Rome.